Last October 17, Far Eastern University in cooperation with Gardenia held a cook-off between five teams from the university coming from a team of two who will prepare sandwiches embodying two themes from the following fun categories: Hell Week, Free Cut, Fuel Up and Good Morning. 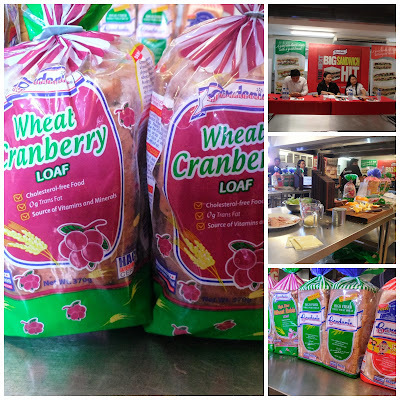 Of course, they will be using any two loaf variants from the wide array of selections from Gardenia. 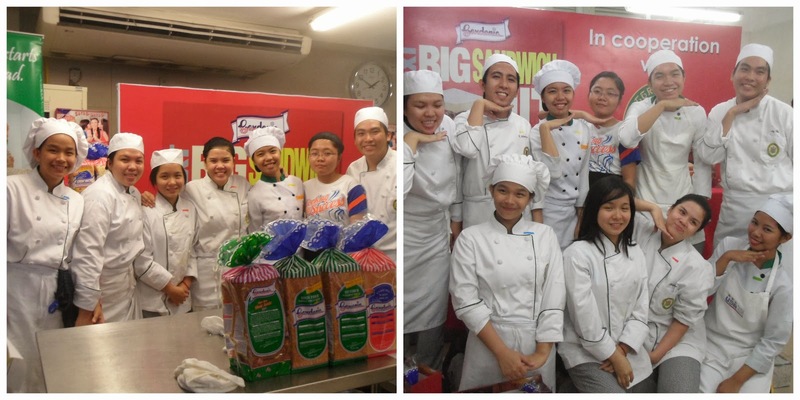 The five teams will battle it out for a chance to represent their school in the finale. 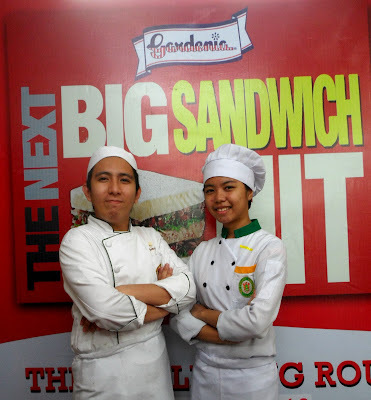 Targeting 10 universities with course related to hotel and restaurant management and the culinary arts, Gardenia's "The Next Big Sandwich Hit" is pitting 50 students from these schools to come up with sandwich creations that will knock the socks off anyone who bites into them. The Finale Challenge will be held during Gardenia's own Happy Bread Day festivities at the Glorietta Activity Center in Makati on October 28, 2013. The top winner will receive P200,000 in cash and prizes; second and third place winners stand to win cash and prizes worth P70,000 and P35,000 respectively. 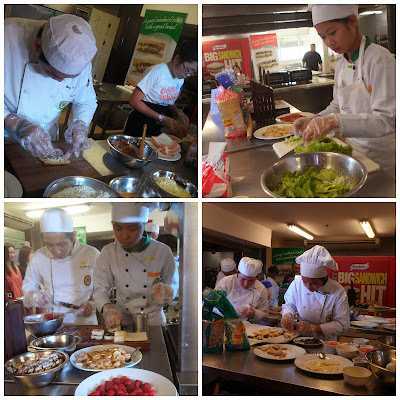 The teams were given on an hour to prepare two kinds of sandwich, one for public voting and one specifically for the judges only. This reality-TV like contest really brings out the adrenalin rush from everyone, not only the battling teams but to those who were fortunate enough to watch. Another amazing discovery was that most of the teams in this contest are freshmen while one came from the sophomore year. 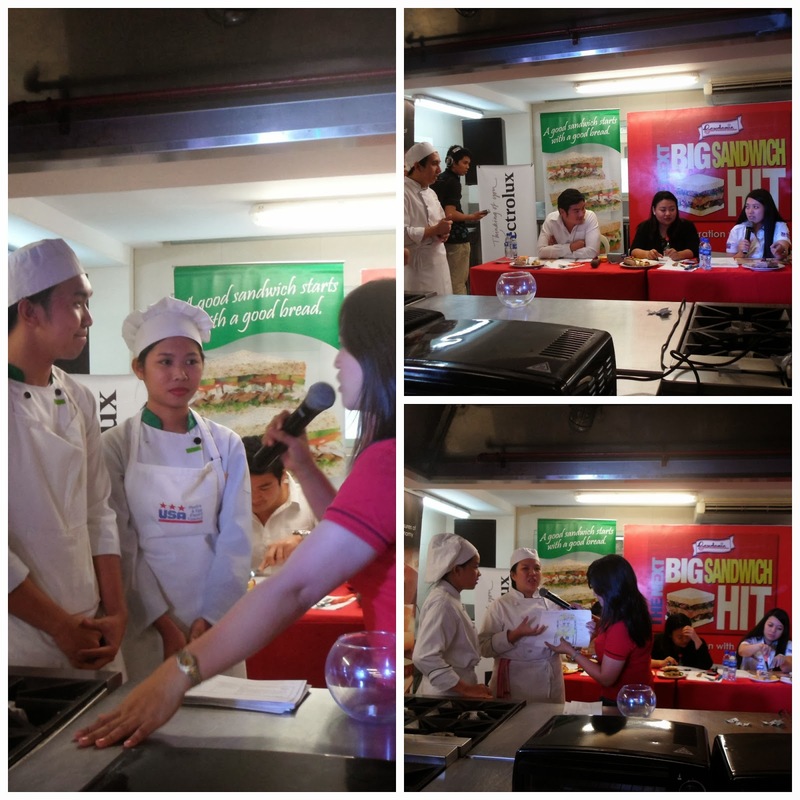 It was really nice watching the teams battle off with their sandwich creations. You can really see how focused they are on the task in front of them. The kitchen was very quiet except for the sound of sizzling pan, the chop chop chop sound that the knives made, the clink and clank of pots and pans. The sandwiches are beginning to take shape after almost 30 minutes. Its me who's getting tensed watching them. I mean, with the first creation, they have to feed 35 people who will vote and another plate with a specially-made sandwich for the judges. I was really curious with the square sandwich coated with cream- above photo, middle one of the right. 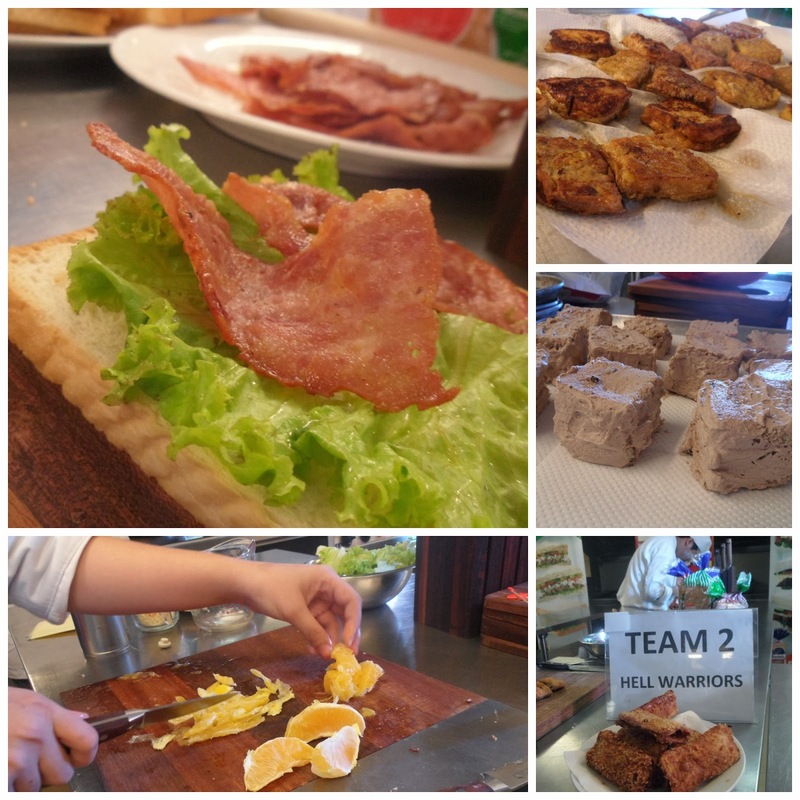 Another interesting-looking sandwich is the one from Team 2. It has meat fillings then coated with bread crumbs then deep fried. The finished product for the public voting. L to R: 1. French Toast with some ham and lettuce in-between. Sweet and salty at the same time. 2. Heart-shaped pan-seared chicken on a bed of spinach. This is really good, and healthy. I love the spinach. 3. Meaty Sandwich. I love this creation because I didn't realize that you can deep-fry bread. 4. Dessert Sandwich. Wow! This is really mind-blowing and very creative. Filling tasted like banoffee pie. The strawberry and wafer sticks lent some color to it. 5. Ham Sandwich. This really looks like a sandwich. I love that it is generous with lettuce. It was really hard to vote since there were no specific guidelines given to us (except for the judges). For me it was a toss between the Meaty Sandwich and the Dessert Sandwich. The judging time begins! The teams were asked to explain their creations before the judges. The teams posing in front of the camera. Yes, they can smile now since the judges already made their decisions and the public votes came in as well. And here's presenting to you the winning team. Congratulations !!! They're the ones who made the dessert sandwich. Really creative, and tasted delish. I mean, who would've thought that you can turn bread into instant cake-like creation. Two thumbs up and goodluck to the two of you because you'll be representing your school in the Finale Challenge on October 28.